By looking at the above definition of truth, one will think that truth is one-sided, as we have traditionally learned to believe. “There is only one truth” is a phrase that we have heard many times, and possibly agreed with it. I say, we should consider a second truth, not only when the first truth does not suffice, but always. To illustrate this point, let me relate to you something I overheard this morning at the post office. This post was inspired by that conversation. A man was talking to the clerk about a problem with his red mustang (later I saw the man at the parking lot pulling out in the new model). Apparently, something had been wrong with it and the mechanic took time figuring out what it was. The man was making these comments, feeling certain that he knew the truth. Mustang Man continued to share his wisdom and the more truth he felt he shared the better he seemed to feel, and he left the post office smiling and wishing the clerk a great day. The clerk seemed to agree with him as well. I was smiling, and Mustang Man smiled and gestured a good-bye to me. However, I was smiling, not because I agreed with his truth, but because I knew of a second truth. There, I saw how truth is based on our own experiences and the knowledge we have at the moment of a particular subject. My truth – My truth is based on different information and knowledge of the subject. See, I am married to a mechanic, and by default, a lot of the knowledge has trickled down to me. Many times, I find myself in conversation with my sister, and she tells me – “the mechanic just told me what you just thought it may be.” I laugh because, in 25 years of marriage, I have become a sponge, learning little bits by osmosis. 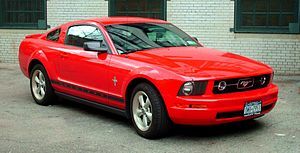 Through my husband I have learned that today’s cars are not even a shadow of what cars where many years ago – possibly the time -frame Mustang Man was talking about. Today’s cars are computerized beasts full of software and sensors that depend on one another, like a steampunk symphony, one thing affecting the other but not necessarily becoming a part of it. Today’s mechanics are more knowledgeable in terms of absorbing and learning more information, and knowing different systems, than yesteryear mechanics. They need to learn software, and learn to use it to be able to diagnose a car properly. Today’s computerized beasts are more than motor and spark, therefore requiring precise computerized adjustments. With so many sensors and software systems, one little issue may trigger another, and therefore making it more difficult to diagnose. This would be impossible to do by a yesteryear mechanic or a.k.a. Mustang Man’s hero. Another issue with today’s systems is that they keep changing at fast pace, as technology changes, and the consumer seems to want more “bells and whistles” and comforts. This creates the need for better trained mechanics who undergo continuing education through their jobs. High end cars, have very sophisticated computerized systems, that only become available to lower end models later on, or by special order – depending on the maker. According to Mustang Man’s truth, which was based on old-fashion knowledge of automotive systems and an admiration for the good ole’ mechanic, today’s mechanics know nothing. According to my truth, which is based on more current information on automotive systems and my admiration for my mechanic hubby, today’s mechanics are more knowledgeable and educated. Two truths that are completely opposite and both influenced by the observer/participant experience. And that is why you should always consider the second truth – learn, explore, inform yourself, and then make up your mind, before uttering your only truth.